Knee and hip injuries are common in athletes, frequently recur, and often lead to the premature development of osteoarthritis and early retirement from sport. Can these initial injuries and their recurrence be prevented? What are the risk factors for early osteoarthritis and how can it be managed effectively in athletes? La Trobe Sport and Exercise Medicine Research Centre (LASEM) is proud to announce a two day ‘Early OA in the Athlete’ symposium in April. Aimed at sports and exercise medicine professionals, this symposium and practical workshops will assemble international research leaders and highly experienced clinicians to expand the knowledge of participants in preventing and managing early OA in athletes across the continuum of care. Dr. Jackie Whittaker is an Assistant Professor, physiotherapist and clinician-scientist in the Faculty of Rehabilitation Medicine at the University of Alberta (Canada). She is recognized as a Clinical Specialist in Musculoskeletal Physiotherapy by the Canadian Physiotherapy Association, is an Adjunct Professor at the IOC funded Sport Injury Prevention Research Centre at the University of Calgary (Canada), and an Associate Member of the Arthritis Research UK Centre for Sport, Exercise and OA. Her research focuses on prevention of youth sport injuries and their consequences, particularly physical inactivity and post-traumatic OA. Jackie’s research is guided by 21 years of clinical practice, which allows her to move freely along the knowledge generation-translation continuum. Dr Rintje Agricola is a registrar in orthopaedic surgery at the Erasmus University Medical Centre Rotterdam (Netherlands). He received his PhD on the etiology of FAI syndrome in athletes during skeletal growth and its risk for development of OA later in life. He collaborated with internationally renowned experts in the field and published articles on this topic in highly ranked journals including Lancet and Nature Reviews Rheumatology. He was awarded a 3 month fellowship at Oxford University, UK, in 2013 and he joined a 3 month fellowship at Aspetar, Qatar in 2015. He has received several awards and grants to build his research group in order to further study the development of FAI syndrome in young athletes and its future risk of hip OA. Professor Kay Crossley is the Director of the La Trobe Sport and Exercise Medicine Research Centre. Kay is a physiotherapist with many years of experience in clinical sports physiotherapy. She has contributed to a number of sports medicine and physiotherapy texts, including every edition of Brukner and Khan’s Clinical Sports Medicine. Her research focus is on the prevention and management of patellofemoral pain and the development and prevention of osteoarthritis following sports related injuries, with fields in patellofemoral osteoarthritis following patellofemoral pain, knee osteoarthritis following ACL reconstruction and hip OA following hip-related injuries (including FAI and labral tears). Kay has obtained funding from major competitive granting bodies and has published over 100 peer-review papers. 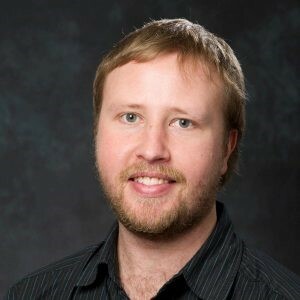 Dr Adam Culvenor is a physiotherapist and Senior Research Fellow at the La Trobe Sport and Exercise Medicine Research Centre. Adam’s research focusses on the prevention and management of knee osteoarthritis over the lifespan. From preventing knee injuries, identifying clinical and biomechanical risk factors for post-traumatic osteoarthritis, developing and testing novel osteoarthritis prevention strategies in young adults, through to older adults undergoing total knee replacement – its impact on individuals and society, and effective surgical and non-surgical interventions. He has authored over 50 peer-reviewed publications in these areas. Dr Joanne Kemp is a Senior Research Fellow at the La Trobe Sport and Exercise Medicine Research Centre. She is also a titled APA Sport & Exercise Physiotherapist of 25+ years’ experience. She has 50 peer-reviewed publications in hip and knee pain and early onset osteoarthritis (OA) in young and middle-aged adults, and the consequence of injury on joint health. She is co-project lead for GLA:D Australia. Joanne has presented extensively on the management of hip pain and OA in Australia and internationally. She has a particular interest in non-surgical, exercise-based interventions that can slow the progression and reduce the symptoms associated with hip pain and OA. Dr Michael Makdissi is a Sport & Exercise Physician and a Fellow of the Australsian College of Sport and Exercise Physicians (FACSEP). He has worked with a range of sports including Australian Rules football, netball, cricket, rugby league, track and field, cycling, swimming, gymnastics, boxing and volleyball from recreational through to elite levels. Michael has also been part of the Australian medical team at the World University Games (Degu, Ismir), Commonwealth Games (Delhi, Glasgow) and Olympics Games (London). He currently works with the Hawthorn football club. Michael has a special interest in concussion, hip and groin pain, osteoarthritis, stress fractures, child and adolescent athletes and injury prevention. Dr. Andrea Mosler is a Specialist Sports Physiotherapist and NHMRC Research Fellow at La Trobe University where she is currently working on hip-related groin pain, injury prevention, and women in sport research projects. Her PhD research was conducted while she worked at Aspetar, Qatar as Senior Physiotherapist and Head of CME/CPD and investigated the risk factors for hip and groin pain in professional male football players. Andrea previously worked as a clinician for 18 years at the Australian Institute of Sport and has been an Australian team physiotherapist at many sporting events including the 2000, 2004 and 2008 Olympics Games. Justin Crow is Physical Performance Manager at Essendon Football Club. He is recognised as an Elite Strength and Conditioning coach under the ASCA Pro-Scheme. He is also a qualified Physiotherapist and has completed Master’s level degrees in both Applied Science (Exercise Rehabilitation) and Enterprise (Executive Leadership). Justin both played for the Collingwood Football Club and worked there as rehabilitation coach for the 2010 premiership. Justin has published research relating to adductor screening, muscle activation and workload management. 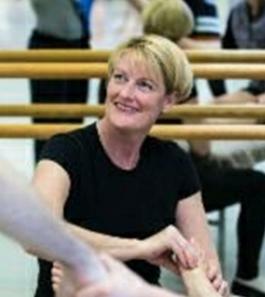 Dr Sue Mayes has been the principal physiotherapist of The Australian Ballet since 1997. She manages the company’s medical department and treats the diverse injuries of the professional ballet dancer. Sue has been a co-investigator on several ballet-related research projects, and has published papers from her PhD, titled Hip Health in Professional Ballet Dancers. She is currently researching ankle and hip-joint injuries in professional ballet dancers as part of the partnership between The Australian Ballet and La Trobe University. Sue has presented at conferences around the world, including the International Association of Dance Medicine and Science Conferences and the IOC World Conference on Prevention of Injury and Illness in Sport 2017, and lectures regularly throughout Australia. Sue was nominated for a 2017 Australian Dance Award in the category Service to Dance. Dr Adam Semciw is a Physiotherapist and Senior Lecturer at the La Trobe Sport and Exercise Medicine Research Centre. He is world renowned for his understanding of hip and lower limb muscle function across a range of clinical conditions. This understanding has led to the development of hip and lower limb rehabilitation protocols for debilitating conditions such as lateral hip pain and hip osteoarthritis, that are currently being rigorously tested in clinical trials by he and his colleagues. Adam is ranked in the top 1% of researchers who have published in the field of “hip muscle function”. Brooke Patterson is a physiotherapist and is currently completing her PhD at the La Trobe Sport and Exercise Medicine Research Centre. Her research is investigating the impact of anterior cruciate ligament reconstruction (ACLR) on the lives of young adults (early ostearthritis, symptoms and quality of life), and how potentially modifiable factors are associated with such changes over time. Brooke is a high-level athlete in the AFLW and has undergone an ACLR herself. Brooke is involved in current AFL funded projects, aimed at monitoring and reducing injuries, and improving coach education. She has hands on implementation experience at elite and community levels and hopes to continue to evolve primary and secondary ACL prevention strategies to reduce the impact of posttraumatic OA. Josh Heerey is a physiotherapist and member of the La Trobe Sport and Exercise Research Centre. Josh is completing his PhD investigating the relationship between imaging, physical function and patient outcomes in athletes with femoroacetabular impingement. As part of his PhD he has published work in leading sports medicine journals. Josh works clinically at Lifecare Prahran Sports Medicine Clinic and Hip and Groin Physiotherapy in Melbourne. Mark Scholes is an APA Sports Physiotherapist and current PhD Candidate at the La Trobe Sport and Exercise Medicine Research Centre. Mark’s research investigates factors predicting long-term changes in hip joint structure in young, active adults with femoroacetabular impingement. As part of his research, Mark is also investigating how hip pain can influence running biomechanics and whether movement pattern retraining can improve running-related outcomes for patients. Clinically, Mark works in private practice at Complete Sports Care where he treats a variety of lower-limb conditions including complex and persistent hip and knee pain. Randall Cooper is a Sports Physiotherapist and Fellow of the Australian College of Physiotherapists. Randall has consulted from the Olympic Park Sports Medicine Centre for 20 years and has also worked with the Australian Winter Olympic Team, Hawthorn Football Club, and the Victorian Institute of Sport. Randall is widely reognised for his an expertise in ACL rehabilitation, is co-author of Brukner & Khan’s Clinical Sports Medicine, and the Melbourne ACL Rehabilitation Guide 2.0. Mick is an experienced Physiotherapist & Exercise Physiologist who consults at The Melbourne Sports Medicine Centre. He is currently completing a Masters of Sports Physiotherapy. Mick has expertise in ACL injury management and ACL injury prevention and has previously worked for elite sporting teams such as the Collingwood Magpies Netball, Newcastle Jets U20s Soccer and Northern Queensland Cowboys U20s Rugby League. He is co-author of the Melbourne ACL Rehabilitation Guide 2.0. There are 3 hands-on workshops to choose from. Enrollment for the workshops entitles you to attend all 3 workshops. Numbers are capped on a first come – first served basis. Enrollment into workshops requires a separate transaction. Workshops are only available to those attending the symposium. Register: Click here to get to the booking site!